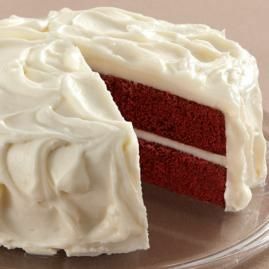 Every woman in Watervalley has a recipe for Red Velvet Cake. I’ve tried all of them and some are only slightly preferable to hunger. But without a doubt, my cousin Imogene’s Red Velvet Cake recipe is the best. It’s like a party in your mouth. But Imogene is not the most likeable soul. She’s a judgmental old maid who always looks like she just swallowed vinegar. It seems unfair that time could have done all that to just one face. On most occasions, just keeping her mouth shut is often her greatest accomplishment. I asked her once why she never seemed to like anyone. She said that was true but that they didn’t like her first. Even still, everyone invites her to parties and family gatherings just so she’ll bring her Red Velvet Cake. It’s the saving grace of a woman who otherwise has the charisma of a potato. But recently an older gentleman has taken an interest in Imogene. He’s a widower who’s hard of hearing. Since Imogene has a voice like Foghorn Leghorn, they make a pretty good pair. So Imogene stopped by one day, asking my help in wooing this fellow and would I please do what I could to help her out. She wanted my recipe for pot roast, which everyone in Watervalley agrees is like a day trip to heaven. I told her I would trade her for her Red Velvet Cake recipe. At first she looked at me like I was emanating a bad smell and refused. So I quickly reminded her that it didn’t feel like we are building team skills here. I was just about the quote a little Hebrews, Chapter 13 about doing good and sharing with others, but fortunately the Spirit must have moved her first. I have tweaked Imogene’s recipe to its final perfection. Make it and you’ll love it! Then again, if baking is not your thing…we always have plenty on hand at the Sweetlife Bakery. So, put a little gravel in your travel and come to Watervalley and pay us a visit. I’ll even give you my recipe for pot roast! Bake in two 9 inch pans at 350 degrees for 25 to 30 minutes. Let cool and layer thickly with frosting. Mix softened butter on medium speed for about 3 minutes until smooth. Add sugar about ½ cup at a time on high speed. Add vanilla and salt until well blended. Add heavy cream and mix until desired consistency is attained. Love me some Connie Thompson!